Rocky, the last in a long line of noble guardians, struggles against a rising tide of greedy, dissolute pirates. Their goal: to claim the power of the Golden Pancake and use it for their own selfish and depraved ends. However, Rocky knows he can�t allow this to come to pass. For the power of the golden pancake is terrible indeed. Every pancake it touches turns to solid gold! Gasp, pancake lovers! Quiver in your britches and cry out to the heavens... for that is the very truth of it. But all is not lost! 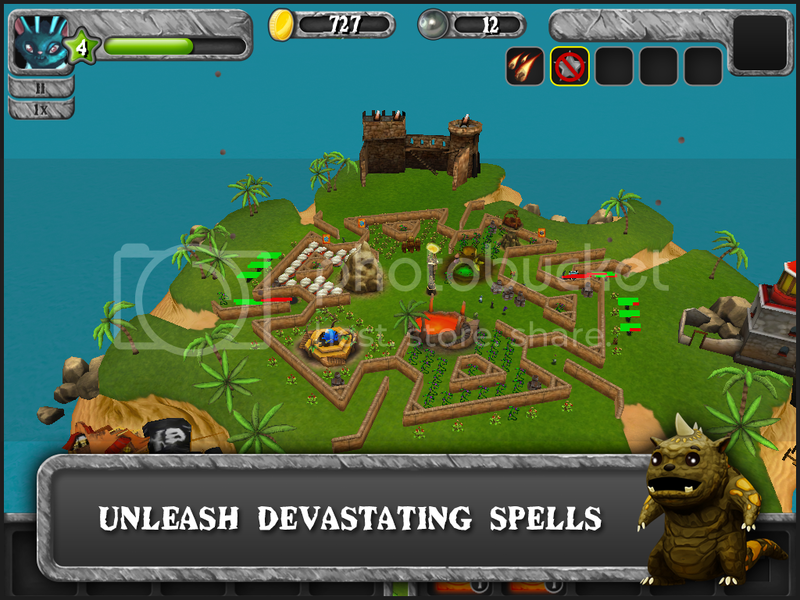 Now YOU can travel to Monster Island and aid Rocky in his desperate quest. 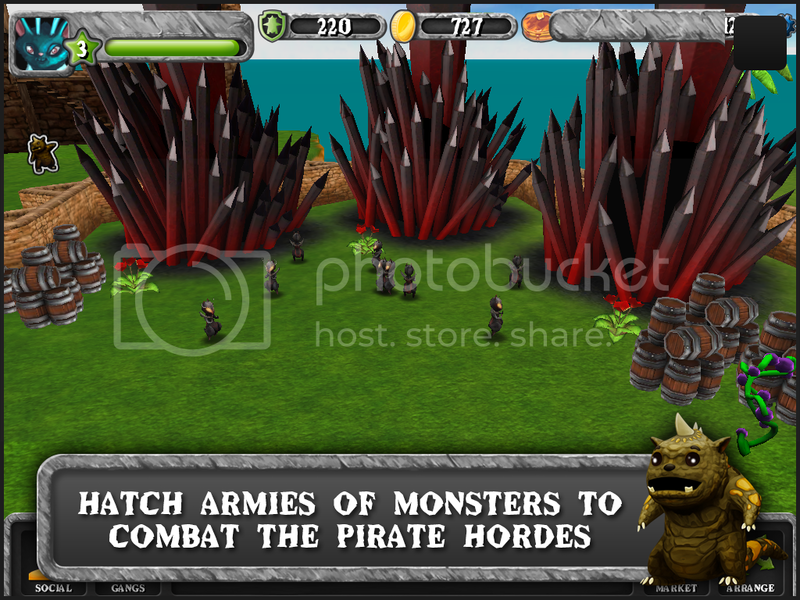 � Battle pirate gangs on the field, with monsters as the towers and pirates as the runners. � Give Juju to your monsters for in-battle bonuses like higher damage and attack speed. � Cast Spells to turn a decisive moment into a glorious victory. 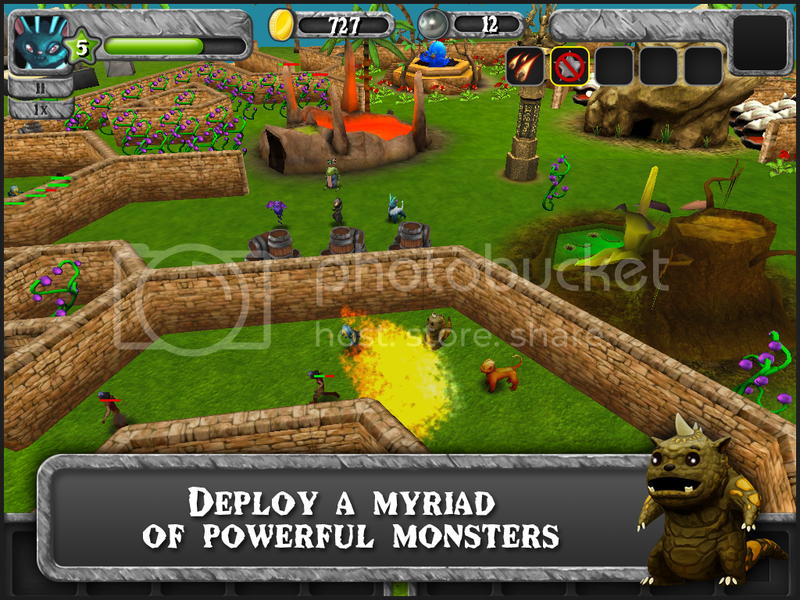 � Build a defense force from a variety of monster types, each with their own powers and abilities. � Hatch new monsters from eggs at the hatchery. 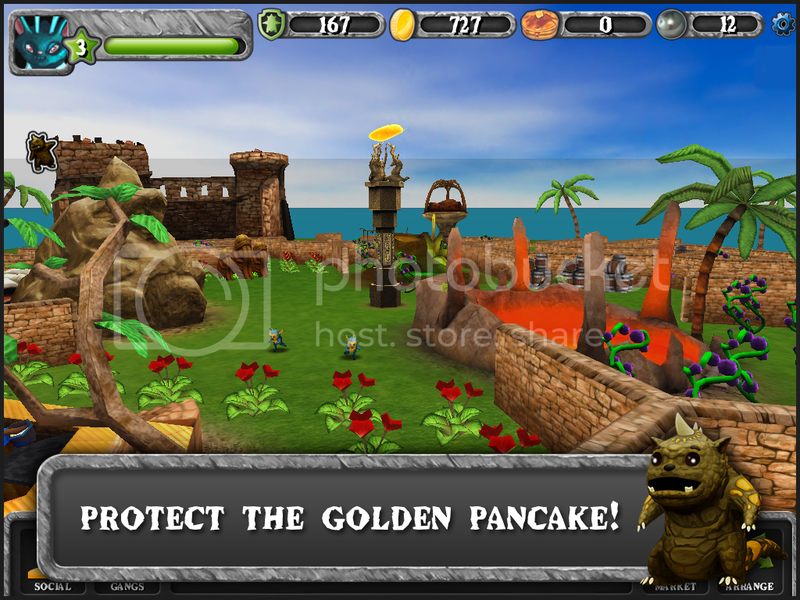 � Level up your monsters by feeding them their favourite food: pancakes! � Choose from dozens of different pirate gangs, each requiring a unique strategy to combat. � Gangs level up as you beat them, getting harder each time. � Dynamically adjust difficulty to suit your preference by balancing the Pirate Points of a gang to the Monster Points of your defenders. � Rewards scale with difficulty. � Virtual currency can be EARNED by beating gangs on hard mode! 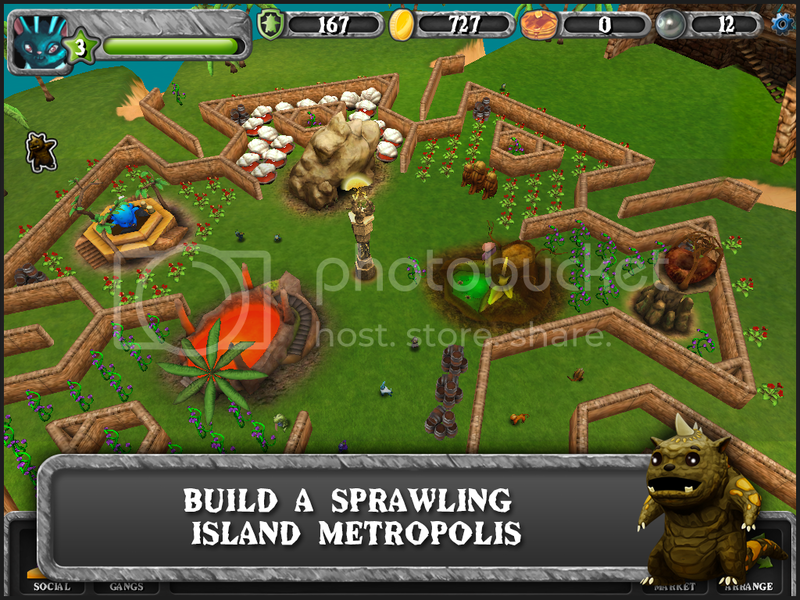 � Decorate your monster village with beautiful buildings, plants, and cool creations. � Find friends within the game by posting co-ordinates online, or invite real-life friends via Facebook and email. � Heal friends� monsters and build up your karma. � Visit friends� villages and like them.